A Collaborative Robot [Cobot] Event Expo took place at Horan Automation, Drangan Co Tipperary in association with Co Tipperary Chamber of Commerce and Boston Scientific on 19 October 2017. 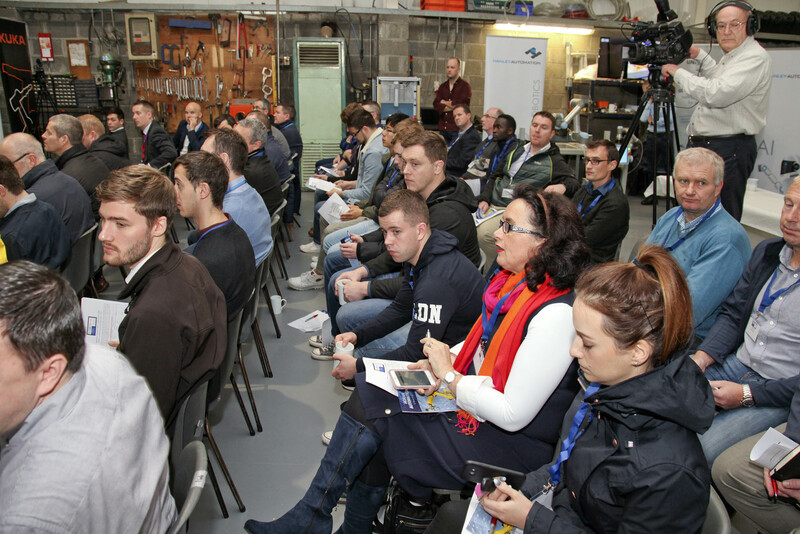 The Manufacturing Excellence event in Drangan attracted Mechanical and Manufacturing Engineering Companies from the south east region of Ireland to Horan Automation. BEng Manufacturing Engineering year 3 students were an integral part of the cobot expo and workshop and they we accompanied by Mary Doyle-Kent, Programme Leader for the Degree in Manufacturing Engineering in WIT. Listen to the TippFm report on the event featuring an interview with Mary Doyle-Kent. “We are delighted to be part of this fantastic initiative. It greatly helps our students visualise the future of manufacturing in our region and has proved to be a great opportunity for them to network with local industry. WIT Engineering Technology courses actively search opportunities to integrate our students into industry in the surrounding regions by work placement, industry based projects and conferences and expositions. “The connection with Horan Automation was made recently at the very popular Toys4.0Engineering Conference and Expo in the Waterford Arena in September 2017. We look forward to expanding our connections with local and national industry into the future,” she continues. Automation is critical to the success of Irish the manufacturing industry and collaborative robotics are leading the way internationally to facilitating robots and humans working together side by side in a manufacturing environment. They bring high quality and flexibility to assembly operations, facilitating safety in the workplace whilst at the same time can greatly improve efficiencies and flexibility. View the video from Horan Automation.